By now, you know how these "found photos" work: I find them, scan them, post them... and then you do the hard work of figuring out what the hell is going on in them. I found these on a dusty shelf of an antique store way out in the middle of nowhere. 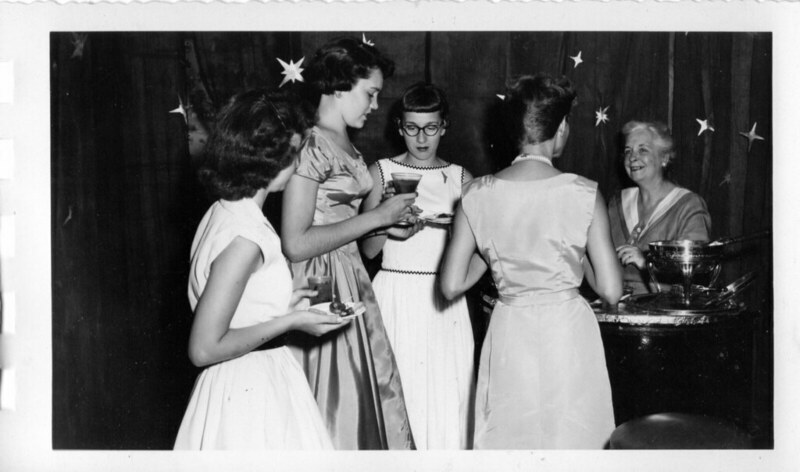 It's a set of 9 B&W photos depicting some long ago party - the nice old lady who ran the place gave them to me for five bucks. 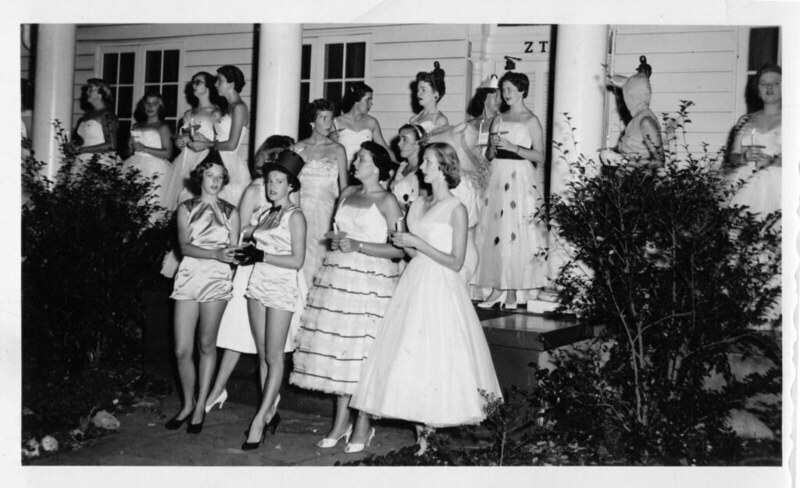 Looking at them closely, it appears to be a ZTA sorority function of some kind.... but there's a lot of unanswered questions - such as, where are all the boys? There's only girls in these photos... and, mind you, these girls are either dead or in their seventies by now (which gives me the creeps for some reason). 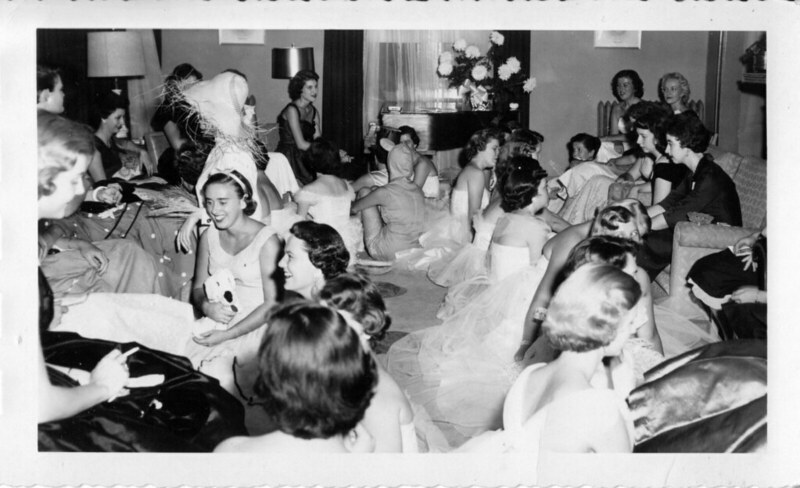 Sorority dances and parties ain't what they used to be. I've been to a few - basically, drunken debauchery at its finest. This looks absolutely awkward. And those drinks are most assuredly 100% fruit juice. Rumor has it that Disney's Little Mermaid is slam full of Zeta Tau Alpha secret symbols. If somebody out there could just get one of them drunk enough to spill the beans, this might actually become interesting. Now if we could only figure out what the f--k they're doing out there dressed like this. I know it's a Southern tradition to have the bride's sorority sing. So, it's either that... or they're summoning a Manticore. The brunette on the left (in profile below the lamp) looks like Sam from "Gimme a Break" (who BTW is now a Manhattan lawyer). Wait a tick. Is that girl smoking? I like the cut of her jib. She said 'f--k it, I'm lightin' one up'. The very first picture indicates that there's a Wizard of Oz thing going on... but what's the deal with this? And again, where are the dudes? Guys might actually enjoy this part. Wow, these are fantastic! I'll bet that most of these women after they graduated got married and became stay-at-home moms. You know it's a wild party when they decorate the room with a flood light on a table. That's the prettiest scarecrow I've ever seen. And there are a few smokers. Notice the ashtray and matches on the arm of the couch. I noticed a smoker two photos above the one you indicated, bottom left of the picture. I admit, it all looks slightly odd and possibly deviant. Perhaps the photos of the ladies kneeling is depicting some kind of initiation ritual. They are all wearing white (symbolic purity?) and dressed almost identically. The kneeling suggests submission. 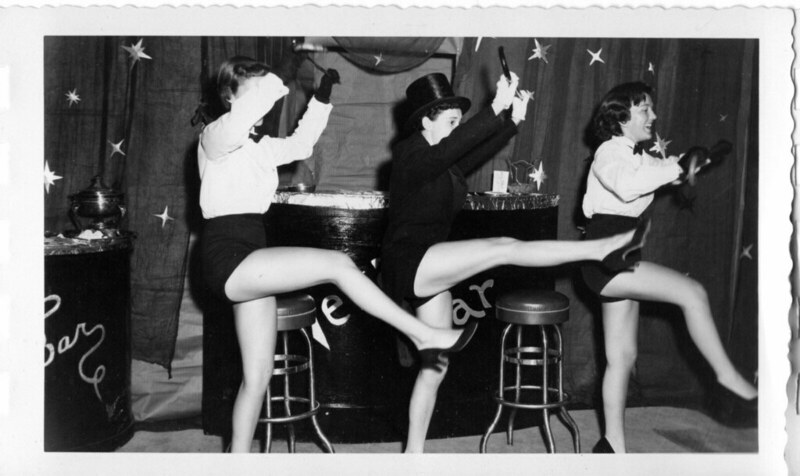 The pictures that have costumes and that some of the ladies are dancing suggests to me perhaps there is some kind of "follies" going on, perhaps a talent show. 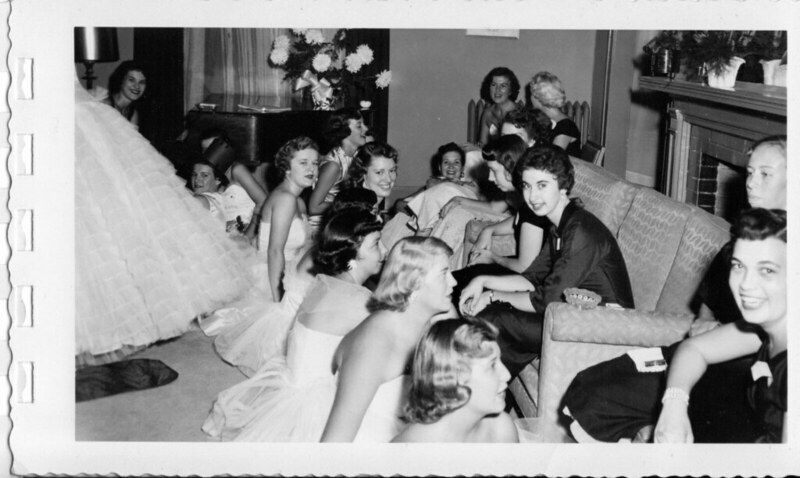 Noting the fact that the house mother is in attendance, I am guessing that this party was probably a drag, and would seem very boring compared to a modern sorority party. I am just trying to imagine what it was like being at that party. A sea of crinolines in some of the shots, the rustle of taffeta must have been deafening. Wow. This is some amazing stuff. The quality of the photographs is top notch too. 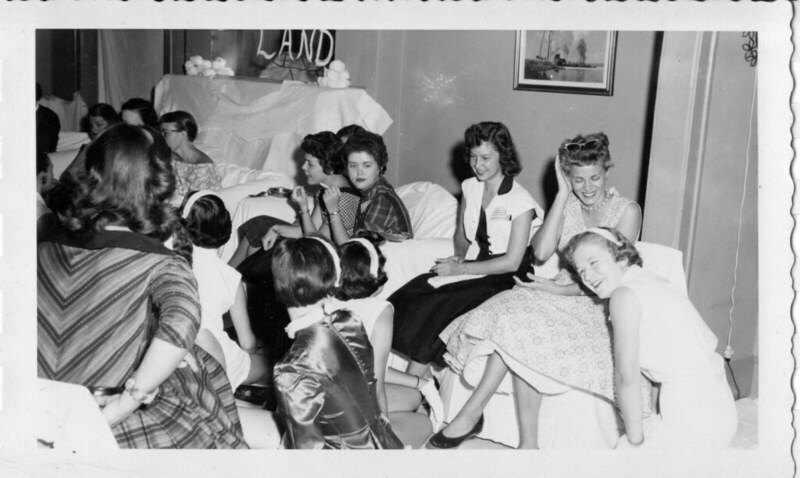 There must have been a real photography nerd in the sorority that year. Not exactly the most diverse group I've ever seen. Even Dorothy's dog Toto is white. No one has posted here since April but I hope I can help you out with this! I am a current member of ZTA. My best guess at what this is -- recruitment! Then, it was known as rush. 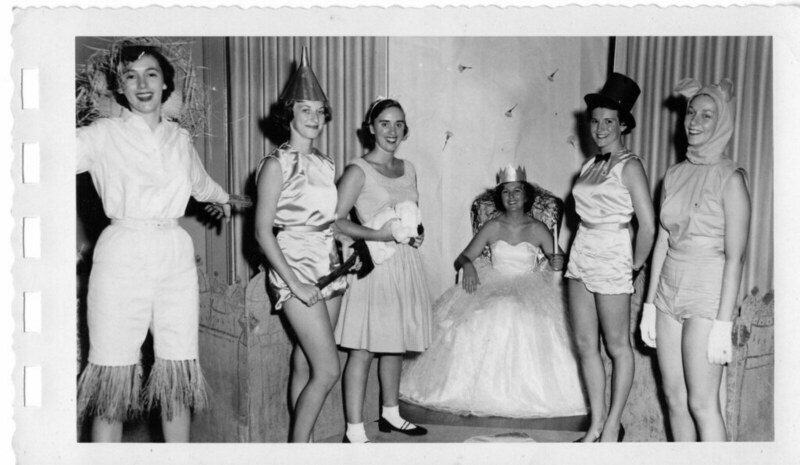 Recruitment week almost always has a theme, hence explaining the Wizard of Oz costumes and decor. This also explains all of the alum in the photos. There are always alum around during recruitment and it is courteous of current members to give up their seats for alum and sit on the ground. 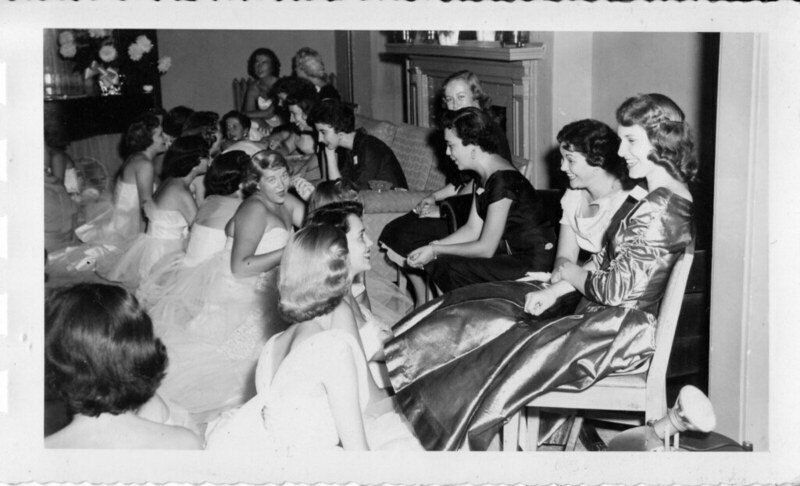 Many times, alum help to prep current members for the parties they will host with new members; example -- What kind of questions will you ask the new girl to get to know her better? I am also a Zeta. I agree with Brynn, this is definitely recruitment. This happens at the beginning of the school year when women who have decided they want to join a sorority go through the houses on the campus to find which group of girls they fit in with best. In recruitment, our outfits are usually similar and we sit and chat with potential new members. 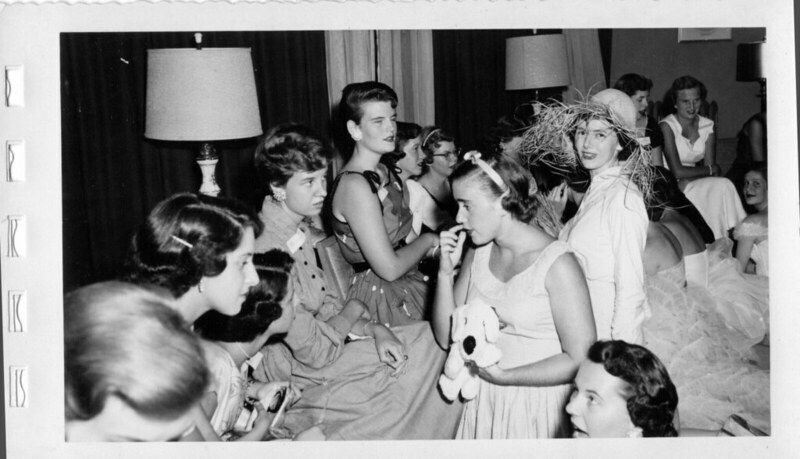 Additionally, "skit round" is a day during recruitment when every sorority puts on a show to best display the personalities of women within the sorority. Men are of course not a part of recruitment, as the goal is to find a sisterhood. Each of these photos is clearly part of recruitment.